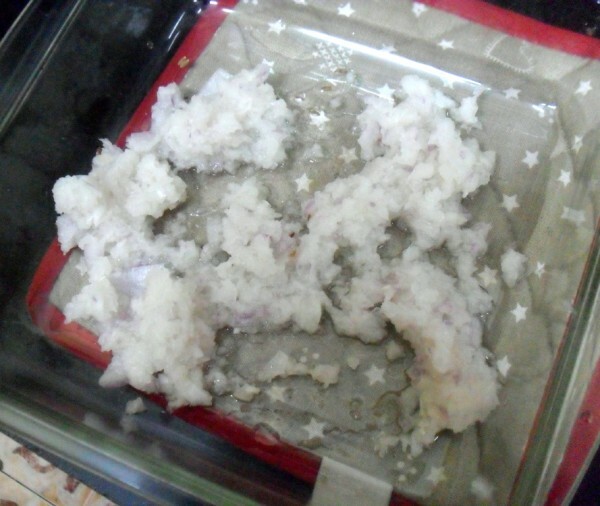 For the second day of cooking in Microwave Oven, I decided to make an almost dry saute with Paneer. Normally this will be more gravy when you serve with Chapatis. However I was planning to make Kati Rolls, so wanted it to be almost dry. I used homemade Paneer, you can use store bought as well. However with making Paneer such an easy task, it makes no sense to get store bought one, unless you want to make Tikkas. I had a complete weekend off, though unfortunately didn’t do much of a cooking. I was more keen on getting tart moulds, pie moulds etc. I know I should have got them long back. So other than making my wallet light, I didn’t do much. Now my next on task is to get eggless versions of those dishes to be tried next. 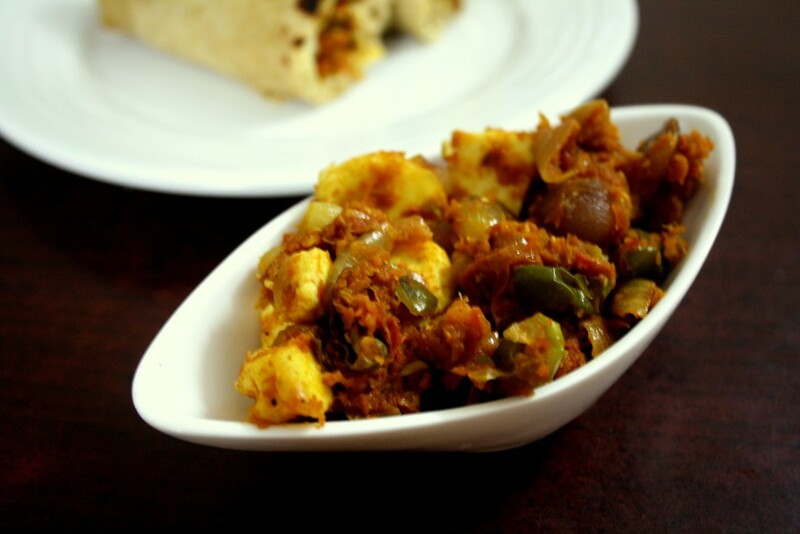 While I think about those, I am sure you would want to check out this Paneer Jalfrezi. 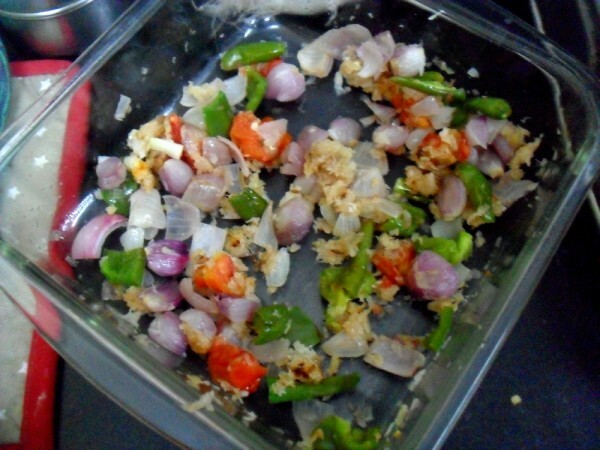 With crunchy shallots, capsicum and paneer, this makes a great side dish. 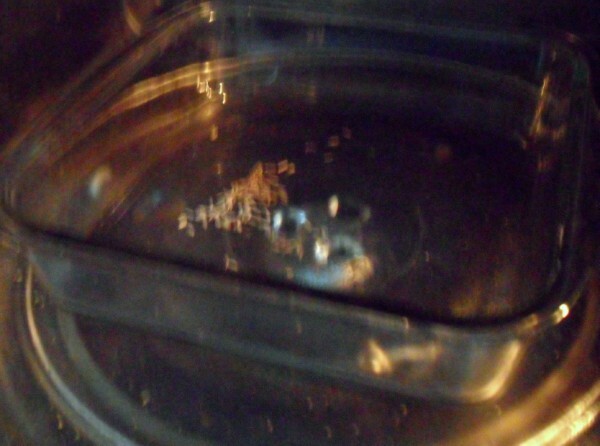 In a microwave safe open dish, add oil along with cumin seeds. MW for 30 secs. Wash and mince the onions in a mixer, add the onion mince to the bowl. MW for 3 mins. Remove the door and stir around. Again MW for 3 mins. 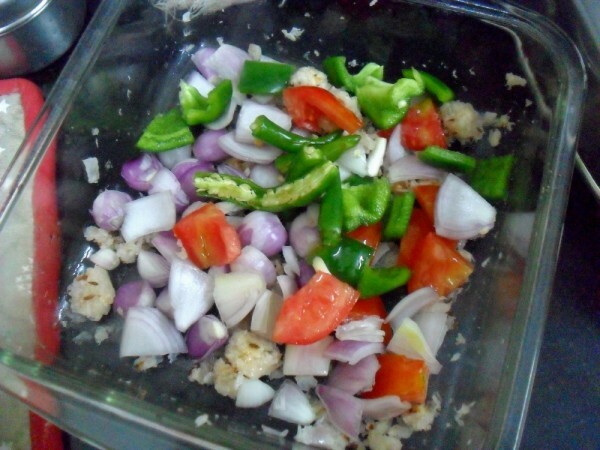 Now all the chopped capsicum, shallot onions, chopped onion, tomatoes, ginger garlic paste, green chillies to the dish. MW for another 6 mins in two intervals. 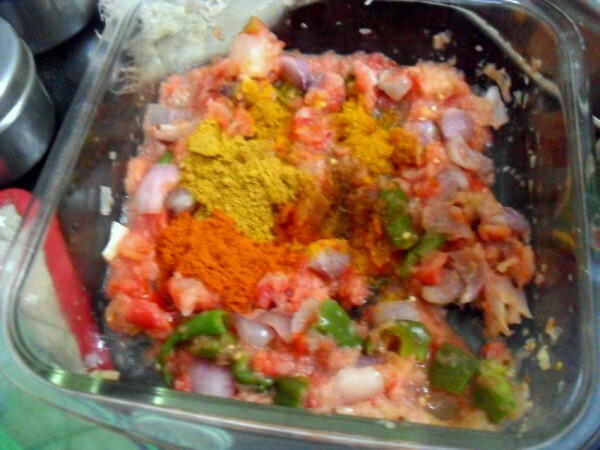 Add all the spice powders, mix well. MW for 3 mins. Now add the tomato puree. Stir again and MW for 3 mins. 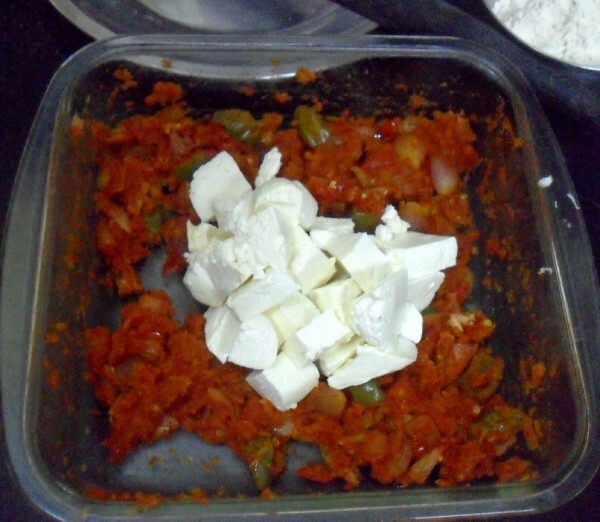 Cube the paneer and soak in hot water for couple of mins. Finally add paneer, sprinkle the garam masala and cook at HI for 3 minutes. 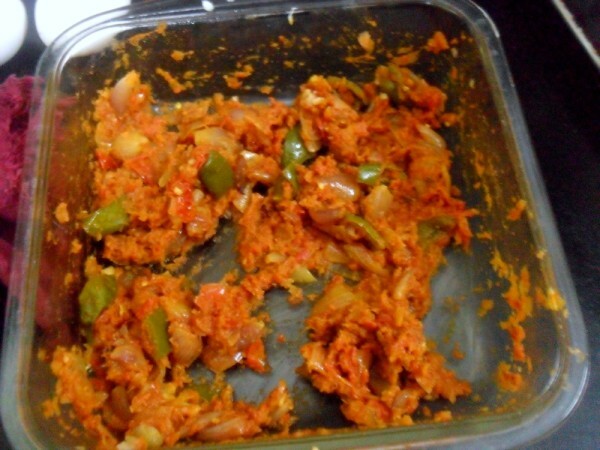 Serve hot garnished with finely chopped coriander leaves. I wish I could cook in M W ..may be I will give it a shot .your method tempts me to try. The rolls look inviting with that paneer stuffing. Love this dry version. Looks so inviting..
delicious version .. never tried in microwave..
Well detailed dish, never prepared jalfrezi through MW, u rock Srivalli. although I love paneer, I've never had this although I know it is quite common. will hve to try it! 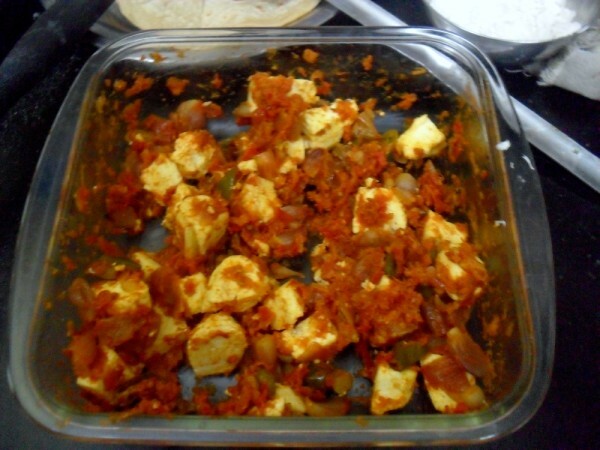 Wonderfully made paneer Jalfrezi in MW!! 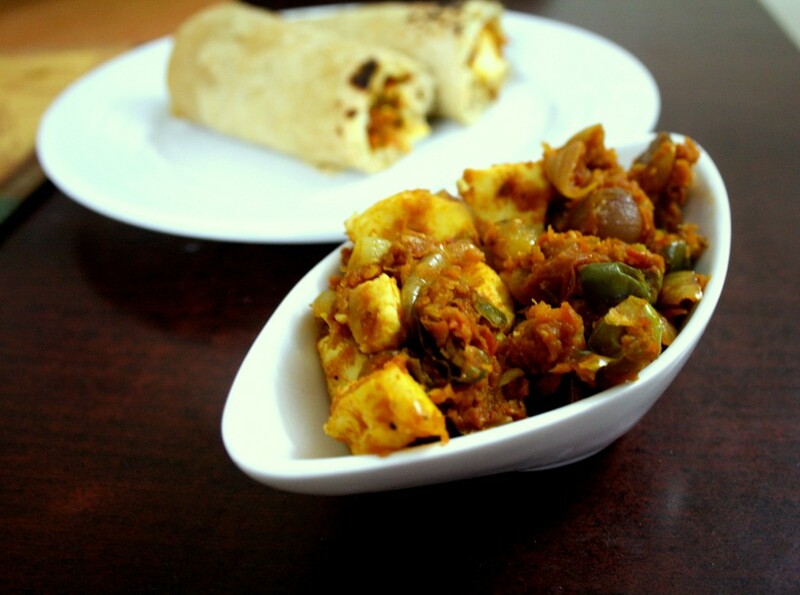 Paneer Jalfrezi looks great! 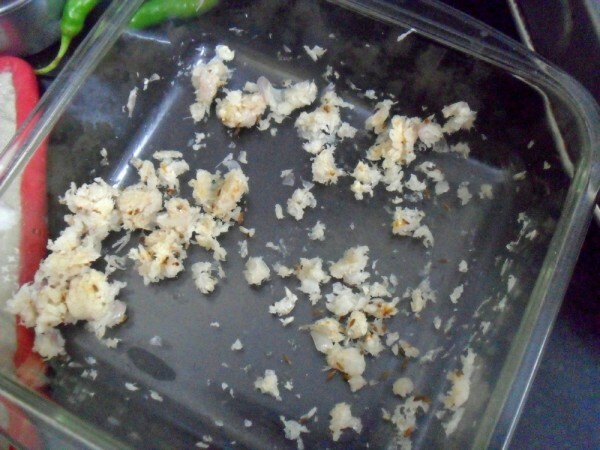 step by step pics help understand how this delicious dish can be done entirely in the MW. 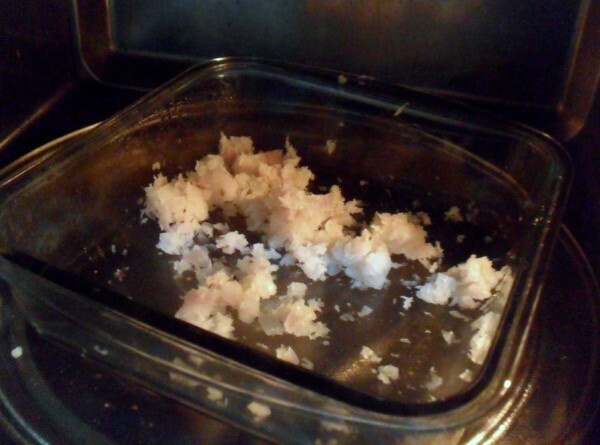 I don't cook in the microwave much — not sure why.. I know it's very convenient, but somehow never tried it.. This curry looks so good, will definitely try it out soon. Looks good..Shall try the MW version soon.